Dutch/Flemish whole wheat bread: Recipe wanted. 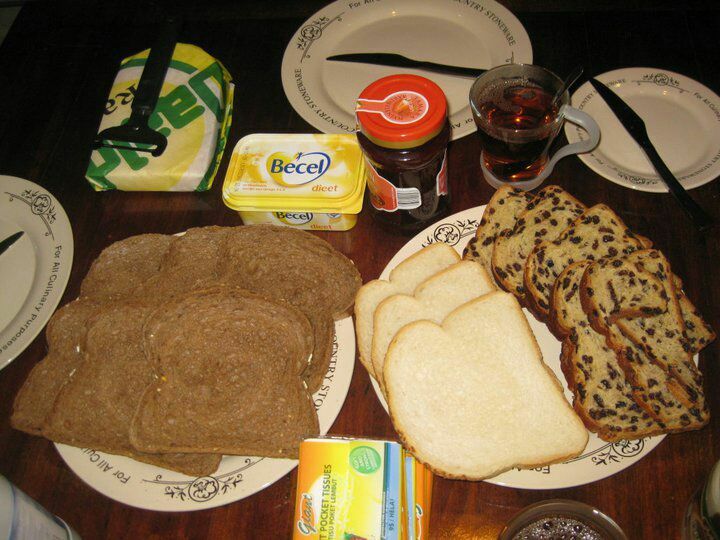 When visiting Holland and Belgium, we were served an extraorinarily delicious whole wheat bread for breakfast, either sliced loaves or rolls. It was not sourdough. It seemed to be consistant from city to city and between the two countries, so I assume it is "traditional" in the region. I would love to be able to bake it at home, but I've not been able to find a recipe. Does anyone know what this bread is called, and does anyone have a recipe for it? David, not sure whether this is what you are looking for - it comes from an old book called Bread Winners Too by Mel London. The actual recipe is from Andreas Esberg who enjoyed the bread while visiting his uncle in Ghent, Belgium. He uses whole wheat flour instead of the white used by the baker. Flemish Peasant bread, 3 loaves. Make dough and add enough ww flour to make a pliable dough. Knead 8-10 minutes, proof until double about 1 hour. Punch down, knead for 1-2 minutes, form into 3 elongated oval loaves. Proof until double, slash, bake preheated 400* oven for 30 minutes, then 350* for last 20 minutes. Hope this helps, A. Have you ever made this bread? It looks like it would be a heavier version of what I remember, but worth a try for sure. Hi David, no, I haven't made the bread - too many loaves for me. As I say, the book is ancient and some of the recipes are not to my taste, but I did make my sourdough starter using yogurt from it and it is very active. Maybe someone else will come up with what you are looking for, A.
I finally got around to baking the Flemish Peasant Bread for which Annie gave me the recipe back in November, 2007. This is a dense, heavy but very tasty bread. I like it better than I expected to, not being a pure whole wheat type of guy, generally. The recipe needs a lot of tweaking. 1 1/2 cups of water was not enough, nor was 1 tsp salt. I think using Reinhart's "epoxy" method would improve this bread significantly. BTW, it bears no resemblance to the bread I had in Holland and Belgium. I am none the less appreciative of Annie's responding to my request. Hi David, it took me a few minutes to figure out which recipe I passed on, yet another senior moment. Sorry it wasn't quite what you were looking for but they were very pretty loaves. I went back to be sure I had given you the correct amount of water, and it was exactly as given in the book. Good that you knew how to tweak it. I did see that the 96 year old uncle in Ghent buys the bread from his local baker who uses "white" flour, no type specified. Glad you tried it, A.